Soup is not that difficult to make, and when you make it in a slow cooker, as in this recipe, it becomes even easier. You can let it simmer all day long and when you get home or are just ready for dinner, simply add a little cream and cornstarch to thicken it up a little bit. The thickness of this soup may just be what I love most about it. It's not so thick it's going to turn to gluey mush on your spoon. It's just the right consistency to make it hearty and delicious. 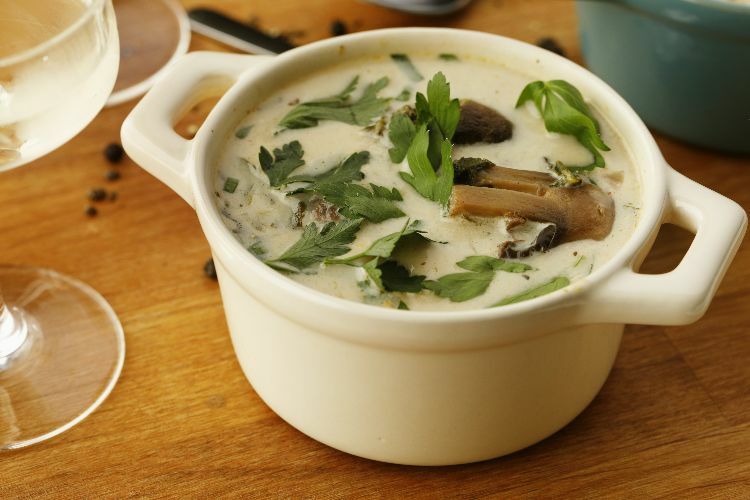 Of course, those mushrooms help with the heartiness of this soup, too. Leave them halved instead of sliced as so many mushroom soups ask. When sliced they tend to break down in the slow cooker, and I like to know what's in my soup when I'm eating it! Plus, when those mushrooms combine with the spinach, they both give this soup such an earthy taste that will have everyone going back for seconds. 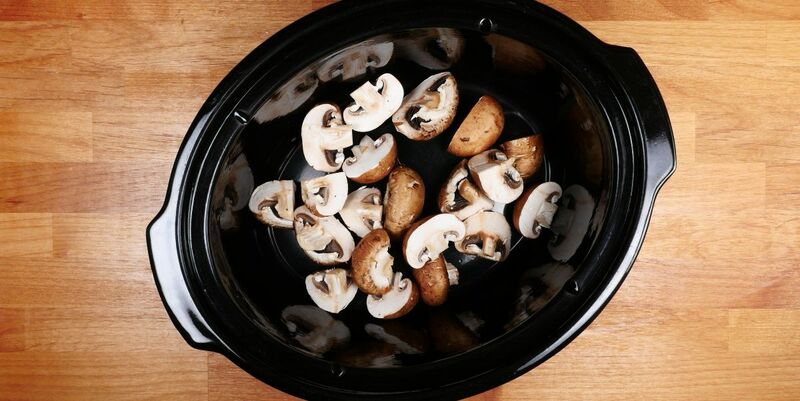 Place the mushrooms, onion, Italian seasoning, paprika, bay leaf, salt and black pepper into a 6-quart slow cooker. Stir to mix. Add the white wine, vegetable broth and water and stir again. Place the lid on the slow cooker and cook on low for 8 hours or on high for 4 hours. Combine cornstarch and 1 tablespoon of cold water. Stir to incorporate and ensure there are no lumps. Add to slow cooker. Add spinach and heavy cream to slow cooker. Stir, replace lid and turn slow cooker to high.